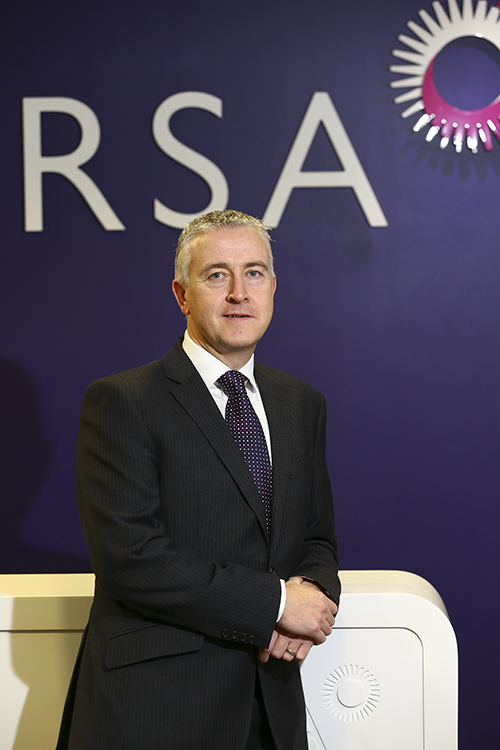 RSA’s Managing Director Gavin Mitchell talks to Owen McQuade about the company’s role in the Northern Ireland insurance market and the challenges facing insurance providers globally. e of the world’s leading insurance groups, writing business in over 100 countries. Formed in 2013 by the merging of RSA and Europe General, RSA in Northern Ireland is one of the largest and fastest growing insurers in the province, with an extensive range of commercial and personal lines products channelled through a network of insurance brokers and scale partners. Having taken up the position of Managing Director in October, Gavin Mitchell has a vast range of experience in the insurance market. Reflecting on the major risks involved in the insurance of businesses and public sector bodies, Mitchell and his team are acutely aware of the dangers posed by emerging risks like cyber and environmental crimes. “We have a lot to offer when it comes to how risk affects businesses, especially in some of the newer types of risk and we have supported clients in developing crisis containment protocols,” says Mitchell. Aside from these emerging risks, Mitchell claims that the transition to the 11 new council districts and the added responsibilities the council have taken on have opened up new avenues for risk. “The transfer to the new councils has presented some challenges,” says Mitchell. “For example the councils have increased their responsibilities for things like car parks, planning and tourism in Northern Ireland. In addition, both central and local government are collaborating more formally on matters like gritting of footpaths and emergency planning. It’s RSA’s responsibility to provide the appropriate technical advice to the councils to allow them to manage their exposure. “We have also been invited to contribute to government debates on issues like the recent flooding and the increases in fraudulent motor claims. The landscape is constantly changing and it is vital we get involved in shaping it. As a composite insurer and one of only a handful of insurers on the FTSE 100, RSA insures a very broad range of businesses, from the Tall Ships festival in Belfast to the one of the biggest pharmaceutical companies in Ireland, RSA covers it all. “Every yellow school bus, virtually every refuse truck and every fire engine you see is ensured by the RSA,” claims Mitchell. “I don’t take that sort of responsibility lightly. We have a massive dedication to getting customer service right. We can’t work in a market we don’t fully understand. We’ll always want the broker involved as part of a three-way partnership, but getting close to our policyholders helps us to help them, by understanding what they need not just for today, but what they might need for tomorrow. “This helps to ensure businesses and public sector bodies get the bespoke cover they need and ensures that there are no gaps left in their cover. We also provide a range of non-conventional covers, these programmes allow RSA to manage the programme on behalf of the customer but the payment of the claim is funded by the customer up to a limit. These types of solutions are often popular with our larger clients. Businesses need to be well-resourced to go into this sort of arrangement, but it can be a terrific solution if they want to get more hands-on. “That’s the beauty of a composite underwriter. We insure some of the biggest businesses in Northern Ireland in almost every sector – agri-food (meat processors and animal feed manufacturers), construction, manufacturing, wholesale and retail. We can cater for all of the company’s insurance needs without the time-wasting and hazards of having to place them with different insurers”. From time to time in every business problems arise and when they do Mitchell and his team don’t just simply process the claim, they work with their clients to ensure that businesses are back on their feet as soon as possible. “Ideally we would prefer if the incident didn’t happen in the first place,” says Mitchell. “But when an incident does occur we work with the client to get their businesses up and running quickly, it is not efficient these days to simply process the claim. It is about how we can work with the client to restore their businesses to normality, if we can minimise the impact of the incident it will help minimise the impact on the clients businesses. “We understand that the claims service we provide is where our service stands or falls. However, we also try to be proactive in helping clients minimise losses when incidents occur. We have 100 staff in total and a 25 per cent of them are dealing with claims. We have experts who are able to provide added value to the client and the broker and we can settle claims quickly. I think that’s where we are at our best, in terms of the service we offer to the market and that’s something I’m very proud of”. In one form or another, RSA have operated in Northern Ireland for over 20 years, during that time there have been many changes to the insurance market. Reflecting on these changes, Mitchell notes that one of the biggest differences has been the evolution of the client and their approach to buying insurance. sed with online offerings,” says Mitchell. “The internet has enabled customers to become more knowledgeable about what is going on and as such what is right for them. However, the point I would make is that commercial businesses are always more complex. I believe that businesses will always need the practical advice of the broker to come up with specific insurance as opposed to the one size fits all type of product that is more suited to residential users and the likes of shops, pubs and restaurants. One of the developments over the past 20 years that Mitchell is wary of is the emergence of cheap premiums and the potential disruption and insecurity these offerings, which look enticing at first, have on businesses bottom line. “We have seen insurers come into the market without understanding the risk to try and make a cheap buck,” says Mitchell. “This type of offering is never a long-term strategy. It usually results in clients premiums being low one year and rocketing the next to then fall again the year after. 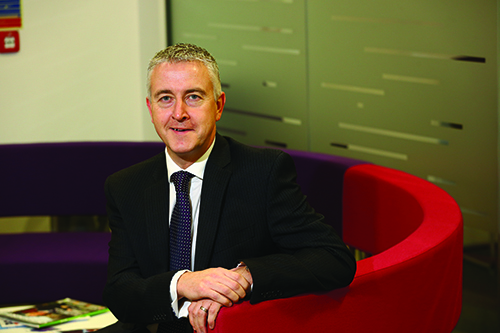 When quizzed on his thoughts about the Northern Irish insurance market, Mitchell is positive about its potential for growth. “We have a £27 billion economic market in Northern Ireland, so there is masses of potential for us, especially in some of the heavy manufacturing industries. 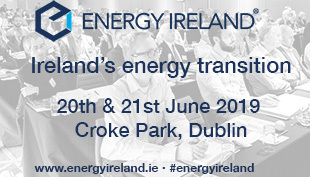 We’ve expanded into looking after clients in the high tech and capital intensive industries that are forging ahead in Northern Ireland, particularly engineering and I’m really excited about the number of companies getting involved in renewable energies.